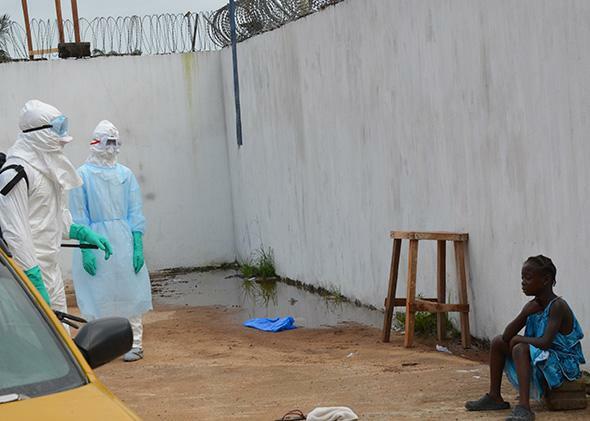 Ebola emergency response: Are survivors immune, and what drugs and vaccines are being tested? A girl cries outside the Island Clinic, a new Ebola treatment center opened in Monrovia, Liberia, on Sept. 23, 2014 after the death of her father and her mother by Ebola. Last week, after six months of dawdling and ignoring repeated pleas from Doctors Without Borders, also known as Médecins Sans Frontières, the world finally decided that the Ebola epidemic raging through West Africa demanded a massive, coordinated counterattack. First, President Barack Obama announced on Sept. 16 an enormous ramp-up of the U.S. government’s response, including sending in 3,000 military troops and redirecting $500 million from the Defense Department toward the effort. Two days later, the United Nations Security Council unanimously agreed that Ebola now “constitutes a threat to international peace and security” and demanded an urgent response from member states. Several other countries pledged to send in more supplies and health care workers, as nongovernmental organizations like Partners in Health joined MSF to build clinics and provide care.